Citadel and Citadel Securities are looking to attract top tech talent with a worldwide data competition. Such talent is in high demand as data revolutionizes Wall Street and other fields. Citadel, the Chicago-based hedge fund, and its spin-off trading firm, Citadel Securities, are gearing up for their second annual Data Open competition. Citadel will host dozens of one-day competitions throughout the year at top universities including Duke, University of Texas at Austin, and UC Berkeley. Quants and mathematicians who win their local competition will have a chance to compete for $100,000 at the final event at the end of the year. Those students will also get an interview with Citadel and Citadel Securities. The competition, a key part of Citadel’s recruiting efforts, will expand into Europe and China this year and kicks off January 27 in Toronto. In the finale, participants are expected to use various real-life data sets to come up with an answer to a proposed question. Last year’s participants were tasked with figuring out where funding in the public-education system would have the most impact. In the regional competitions, students can come up with their own research questions to address. As technology transforms Wall Street, financial-services firms have a greater need for high-caliber tech talent. LJ Brock, chief people officer at Citadel, told Business Insider the hunt for top talent has never been more competitive. Brock’s thesis appears to be backed by IBM research into the evolving demand for tech talent. The technology company found demand for data scientists, for instance, is set to increase 28% by 2020. “Annual demand for the fast-growing new roles of data scientist, data developers, and data engineers will reach nearly 700,000 openings by 2020,” according to Forbes reporting. “These are the three groups we are targeting in our recruitment efforts,” Brock told Business Insider. Regardless of a candidate’s technical background, the firm looks for a number of character traits in all candidates. 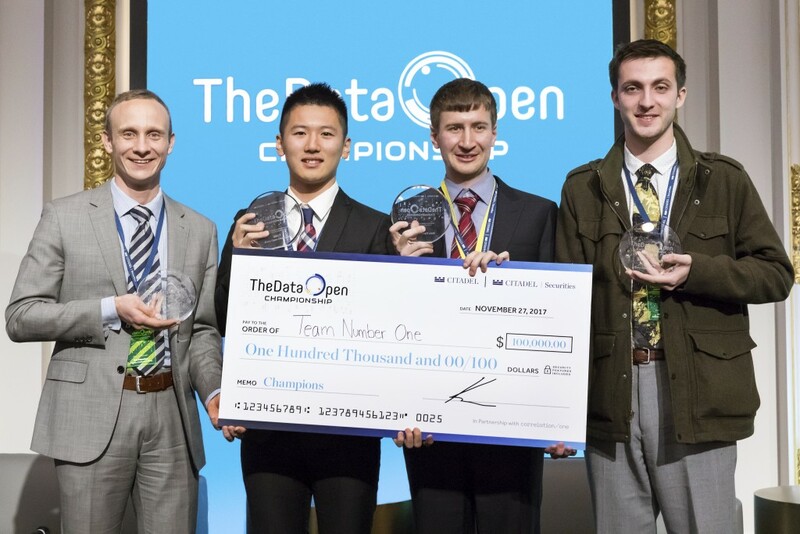 The Data Open competition, in a sense, provides a candidate an opportunity to audition for such a role. “You are actually a person who shows up and auditions for a role and we can see you perform the on the job tasks, we can see you in your craft, we can also watch you with your team,” Justin Pinchback, head of talent strategy at Citadel, told Business Insider. This article was written by Frank Chaparro from Business Insider and was legally licensed through the NewsCred publisher network. Please direct all licensing questions to legal@newscred.com.